A 10-year-old girl was stabbed at her Riverdale, Maryland, home Wednesday morning, a friend of the family told News4. The incident happened inside a gated apartment complex on the 6300 block of 64th Avenue. Whoever stabbed her is unclear. Police initially said she was stabbed after answering the door. Arnold Lewis, a family friend, said three minors were home alone when at least two people knocked on the door. 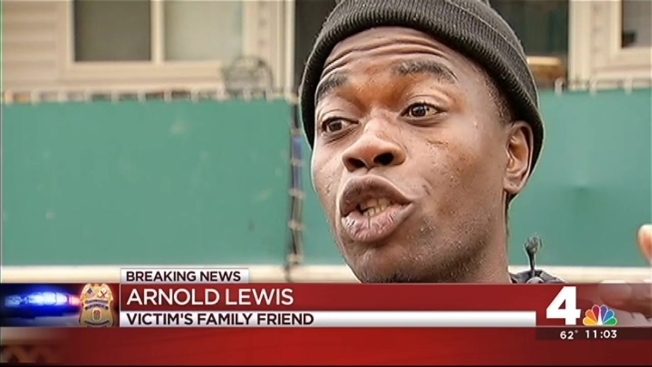 Lewis said the victim's older sister told him the suspects pretended to be delivery men. "They knock[ed] on the door and said they were FedEx. When the little girl opened the door, they started asking her for money," Lewis said. Police have not confirmed that. The girl was taken to an area hospital. Her condition is not known at this time. The victim's father told News4's Molette Green that doctors are still running tests. He said he doesn't know who could be responsible for the stabbing. According to Maryland law, children older than eight can be left home alone for short periods of time if parents use common sense guidelines, such as teaching their child what to do in case of an emergency, according to the Prince George's County government website. This is a developing story. Stay with News4 and NBCWashington.com for more.